WICKED STOCK wants you to enjoy your ride irrespective of the weather or outdoor conditions. Remember real leather is only water resistant but never waterproof. So, none of our Leather motorcycle pants are water proof. Therefore, the next logical choice is to make sure our Textile Motorcycle Pants are waterproof. 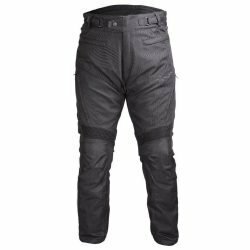 We design Textile Motorcycle Pants that are fully waterproof and will keep your legs dry, comfortable and protected all at the same time. We will explain how we ensure waterproofing of our Textile Motorcycle Pants. 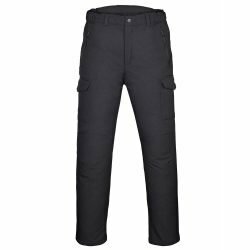 All our waterproof motorcycle pants are made of Polyester outer shell that is waterproof. But even these waterproof materials would let some water in during a heavy downpour due to very small holes created due to stitching. After stitching is done, we use permanent seam sealing tape to ensure the seams become 100% waterproof. But we don’t stop here. All our waterproof motorcycle pants have a built in breathable waterproof liner that would ensure top-of-the-line waterproofing even under the heaviest and most prolonged downpour. Zippers, vents and fly are most vulnerable to water entry. Our designers make sure all these points are 100% waterproof. 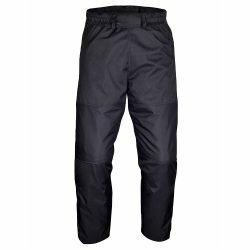 All our waterproof motorcycle pants have gusseted fly with double closure to ensure absolutely 100% waterproofing around this common area of water entry. 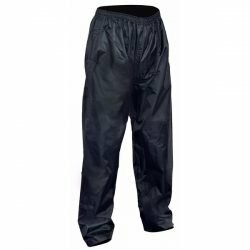 Waterproof motorcycle pants also need to be visible during rainy and low visibility weather conditions. 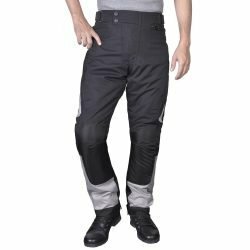 Our waterproof motorcycle pants have reflective stripes in right areas to ensure visibility and your safety. 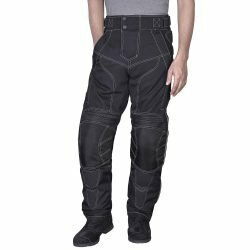 All our waterproof motorcycle pants come pre-installed with CE rated hip and knee armor to provide you that much needed peace of mind and safety. 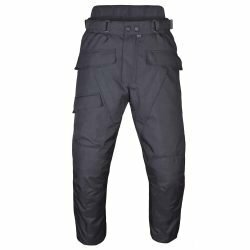 You can use some of our waterproof motorcycle pants as year-round riding pants as these come with an insulated thermal liner which is removable. When not needed, depending on weather, just remove the thermal liner and enjoy your ride staying fully dry and comfortable. All our waterproof motorcycle pants can be paired with Textile Motorcycle jacket for an ultimate riding experience. All WICKED STOCK motorcycle pants and jackets can be integrated using Pants-Jacket integration zippers. Please feel free to reach out to us if you need help picking the best waterproof motorcycle jacket for the upcoming rainy season.